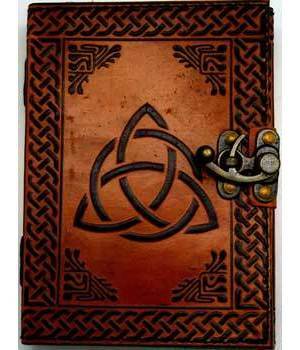 Triquerta 2 Color Leather Embossed Journal with Handmade Linen Parchment Paper. Comes with a metal lock closure.168 pages. 5" x 7".